Alum treatments ranging from over 250 acres to less than 5 acres have been made by Lake Restoration. 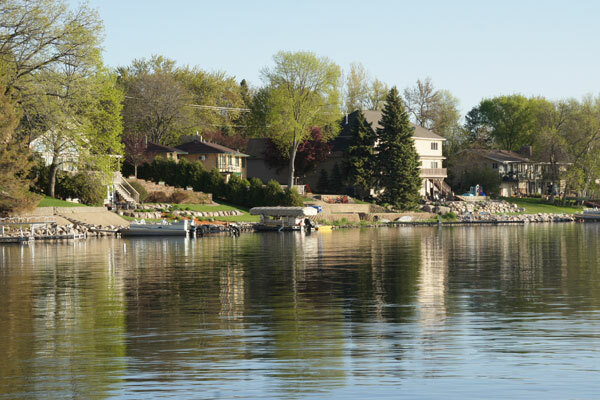 Cities, watershed districts and lake associations have utilized Lake Restoration services to improve water clarity. Alum treatments prevent the release of phosphorus from the sediments. Algae growth is decreased with the resulting reduction in phosphorus in the water column. Precision applications are made with our microprocessor application system. The microprocessor automatically adjusts the valves and correspondingly the dose as the barge speed changes. Boom width and dose based upon area and depth are inputted into the microprocessor. GPS is used for navigation of the barge. The treatment area is defined and loaded into the GPS system to enable accurate coverage. Please call us to discuss your particular needs, Toll Free 877-428-8898 or in Minnesota 763-428-9777.